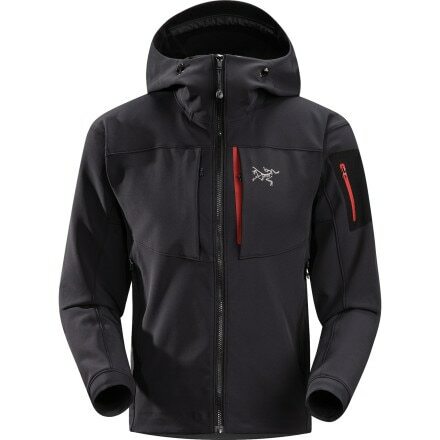 The Arc'teryx Gamma MX Hooded Softshell Jacket is the most versatile top you'll ever own. 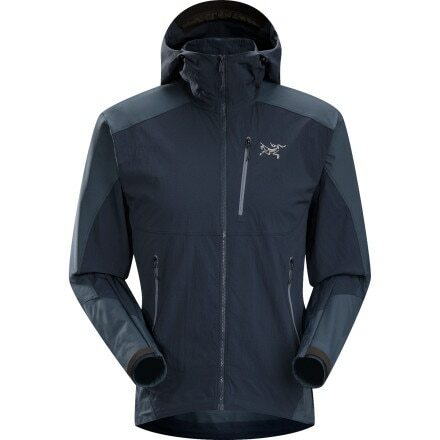 The Arc'teryx Gamma SL Hybrid Softshell Hoody Jacket strikes this balance with the strategic combination of Fortius 1.0 weather-resistant fabric at the shoulders and sleeves and TerraTex breathable fabric in the body. The hand-built Vapor Hoody soft shell jacket from Sierra Designs features fusion technology to save weight and increase durability. Weather resistant and breathable, the Outdoor Research Cirque is a durable, technical soft shell jacket built for high-energy climbing and skiing touring in alpine environments. Made with a water-resistant, sweater-soft blend of polyester and wool, the Grade Max Hooded Jacket features Columbia's Omni-Wind and Omni-Heat thermal reflective lining for windproof warmth. A must-have for your backcountry adventures, the soft shell Kepler has sonically welded seams and is a totally waterproof. Mountain Hardwear's Dry. The Divide Full-Zip Jacket wraps PhD SmartLoft merino wool insulation in a weather-resistant nylon shell for ultimate core warmth in cold weather. A Gore WindStopper softshell, Marmot's Sharp Point delivers total windproofness and maximum breathability in a lightweight, durable jacket. A lightweight, stretchy soft shell, Marmot's Zion features Polartec NeoShell fabric for unprecedented breathability in a waterproof jacket that's free from the noise of a hard shell. Perfectly designed for everyday life on the go-Marmot's Eastside Jacket features breathable, water-resistant M3 soft shell fabric that forms a lightweight barrier against wind and moisture. For trail runners, climbers, and anyone who thrives in the out-of-doors, Marmot's Tempo is a stretchy and highly breathable jacket for a wide variety of activities. Developed with input from our guides, the Men's Alpha Shield Jacket is perfect for cold, blustery days on the trail or at the crag. With stretch mobility and high breathability for hiking and backpacking, the soft shell Android Jacket from Mountain Hardwear sheds water and snow to keep you protected and on the move. Designed to offer a full range of motion, the Marmot Super Gravity Jacket protects runners, climbers, and bikers from windy, wet, and cold conditions. A hooded soft shell jacket insulated with lightweight PrimaLoft Eco insulation, the Apex Elevation from The North Face offers exceptional, recycled warmth that's suitable for everyday winter wear.